How fine is to get in silence in the home environment finally after the noisy streets of the capital! 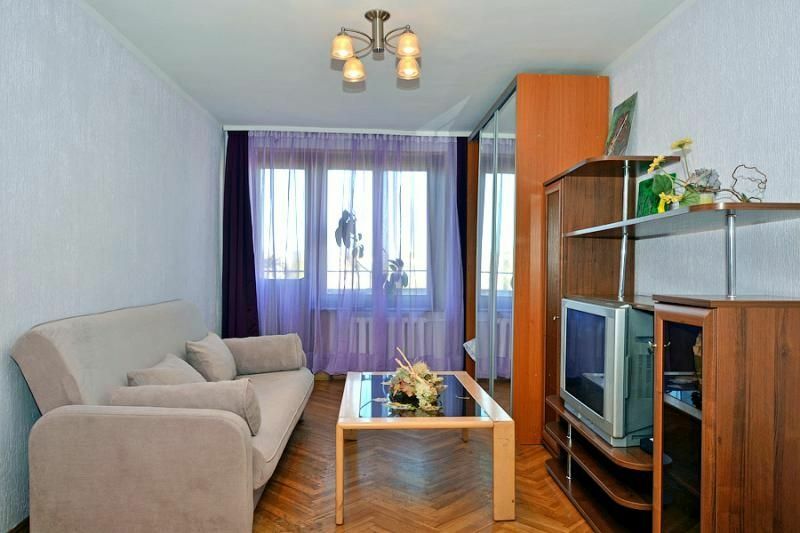 We offer you an apartment in the twenty-minute walk from Red Square, located on the street with a very famous name Gruzinsky val (Georgian shaft). In the apartment european-style remodelling is made; furniture is highly forethought. In the light bedroom there is a large double bed; in the living room you will find comfortable upholstered furniture, a coffee table, a TV and a DVD-player. Large windows create a unique sense of space. The kitchen is equipped with all facilities, including household appliances and dish set, and nothing can disturb you while demonstrating your culinary skills. There are respectable restaurants and cozy cafes in close proximity; and subway station is in three minutes of walk from home. , . , , , DVD-, . , , . , .